Thomas said to take 3 days up to Sidney. I would presume he knows the "scenic route". I would plan at least a 6 day outing to get to the rally after getting over the jet lag. I won't be back in Oz anytime soon and unlikely with such an enthusiastic posse as the BSA rally goers so I have to make the most of it. The wife and I can't wait til our big trip down under! 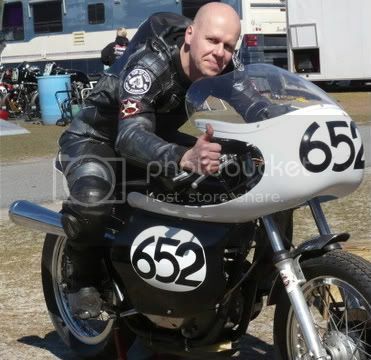 Thomas will know Victoria much better than I do, since I really only go to the All British Rally and BSA Nationals. He is sure to have some great suggestions. If you're limited for time, cut out the Great Ocean Road (which would be a shame) and go direct from Echuca to Temora. We're taking a similar route home from Halls Gap via Echuca, with a couple of detours. I just found out that my work has scheduled a mandatory event during the week of the rally... . I've been looking forward to this ever since it was announced. It's a good thing they pay me well. I'm going to miss hanging out with all of you folks. Sorry to hear that Alex, It would have been good to catch up again, hopefully we will see you in UK 2019!! Update from the Australian Victoria BSA Club. They are very keen for anyone who still hasn't made up their minds, to get their backsides into gear. and as it is the 70th anniversary of the Bantam we are expecting a good turn out of those as well. plus many many more, In short something for everyone. Doug's V twins are indeed a marvel to behold. They aren't his only creations, either, so with a little luck he will bring the whole fleet along. 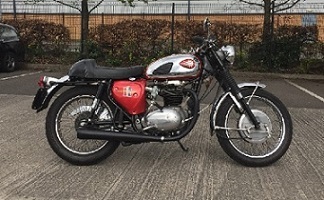 There are some other quite interesting machines which have shown up at BSA National rallies and the All British, so there should be lots of good stuff to look at and talk about. Expect to be booking flights & submitting rally reg shortly. Sorting out work coverage this far in advance is a challenge but will get that sorted by month end. Looking forward to this rally. Make sure you get the entry form in by the 10th of August or the price goes up. Parkgate Resort have been able to make available three more sites for accommodation. These are powered sites and configured for Glamping with facilities provided. They can be reconfigured as a powered site for a camper van or caravan. For those that may be interested contact Cathy at Parkgate resort directly. Don't delay if you are interested they will be snapped up quickly. Accommodation is still available in Halls Gap. If you are still thinking of attending the biggest BSA Rally in the southern hemisphere don't delay. The 10% late fee kicks in on the 11th August. While the Parkgate resort may still have a powered site or two. The nearby Halls Gap Gardens Caravan Park still has cabins and sites available. Last edited by Roy Armstrong; 08/15/18 3:07 am. Just a reminder that the online booking window for the largest BSA Rally in the Southern Hemisphere will close soon. No Online bookings will be possible after midnight(AEST) Friday 31st August 2018. If you have not yet booked, then you had better get cracking! Last edited by Roy Armstrong; 08/15/18 4:46 am. Does that mean no registrations at all after 31 Aug? No mention of this in the website that I can see. Might be worth adding ti there?? I've been holding out to see what my final availability is. Dont fancy blowing the $400 if I cant make it. Only 3 and a bit days to get entries in... Get onto it Guys/Girls! Hi Brett have you had the tee shirts made if you have get mike to send me one .Glad you have a bit more stock on the way. Going to be a very busy next few months for us with a 40' Container of parts from Rabers etc landing here in 6-8 weeks, parts orders flooding through with people wanting to get bikes completed for the rally. Should be good times!! Rally registration completed last month. Flights to Oz booked yesterday. 24 hours of flight time from NC notwithstanding :-), really looking forward to this rally. Thanks Shane for all the arrangements and hospitality. I'm organising the overnight stops this week for the trip down. Are you still aiming to join us for the ride down, Gary? Parkgate Resort now has two En-suite sites & two Powered sites available. onsite from other camp. Please contact Kathy at Parkgate Resort . never forget it. This is going to be another one of those BSA memories. Sorry this was so late. I have been getting things in order. Just wasn't sure of our total plan. Now taking shape with reservations on airlines, glamping, and the rally tickets purchased. Time to fill in the blanks. Where and when is the group going to leave the Sidney area for the Grampians? We will be arriving in Melbourne Saturday 11/3 at 6:45 AM. Selena or Thomas plans to meet us and we'll go from there. I have the use of Thomas's Tenere for the ride up the coast and a BSA for the rally! Yea! Let me know possible plans. I'm just out of Penrith, which is pretty much the western edge of Sydney. We're hoping to leave here around 8 am (but probably won't get away on time) on Tuesday 6th. There's room for you (& your partner) as long as you don't mind sharing. PM or email me for address & contact details. Would anyone happen to have an unwanted/unrequired entry for the rally? Last minute cancellation perhaps? I've just managed to confirm time off work and my availability but the organisers say no-dice as entries for the rally are sold out. I've had accommodation reserved for 6 months so no dramas there. Just didn't want to blow the $400 rally fee if I couldn't finalise the time off work. I'll gladly provide full reimbursement of your entry fees. I had hoped to join up with you guys from Sydney for the ride down Shane, but cannot leave until the Tuesday, so (entry pending) it will be a fairly full 3 1/2 to 4 days of riding from Brisbane to make it Friday. I'll probably have to leave to return a day early also due to work commitments. I was looking forward to shouting a few beers to you guys. Bike now prepped and itching to go with all required pre-rally preps done. The best spot to meet up is probably Cambewarra Mountain Lookout between Kangaroo Valley and Nowra. We should be there around 10:30 - 11:00 on Tuesday 6th. There's a little shop (Tea Rooms, I think) with indoor and covered outdoor dining areas, and a very nice view out over the Nowra area. The road in is narrow, so take it slowly and watch out for cars and camper vans. If we keep missing each other during the day, we have 2 cabins booked at the caravan park at Kalaru, just out of Tathra. That's going to be a long trip down. I assume you'll head down the New England and Newell. The scenery leaves a bit to be desired, but it's the quickest run. It's a shame you can't get away on the weekend and ride down with us; there's room in the cabins for 1 more. See you down there.